Looking to dress up your backyard but not sure where to start. 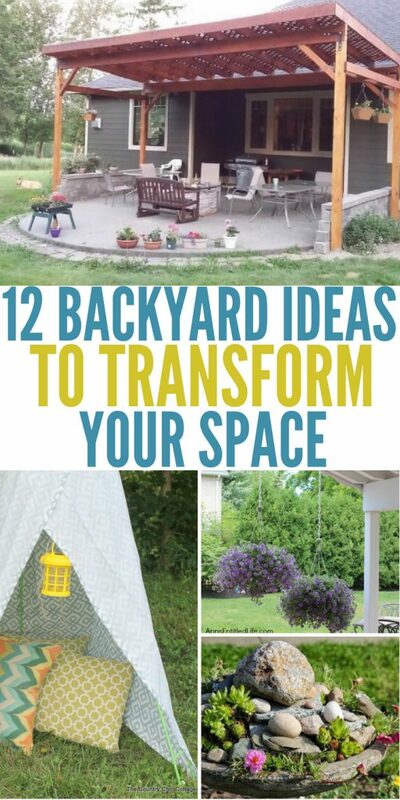 Feast your eyes on these backyard ideas below to help transform your space. These simple DIY’s will really add a whole new element of style to your backyard space, and make entertaining amp’d up a notch. Also, make sure to check out these other 19 family-friendly backyard spaces that are great for family time. Make your backyard an oasis and an inviting space that makes your neighbors and friends never want to leave once they come hang out. I love dressing up our yard with flowers, fun planters, and even creative ways to store our kid’s toys. For us being able to turn the television off and head outdoors to spend our days is what makes our home happy. Soaking up the vitamin D, listening to nature, and making lasting memories that last a lifetime. If your backyard needs a little TLC, I am here to help! Use an old mailbox to hold your garden tools, this is a great way to protect them from rain and the elements. Learn how you can easily make a vertical garden out of pallets. This is a great way to utilize a small yard and add some personality to your space. Create an oasis for your birds that come through. 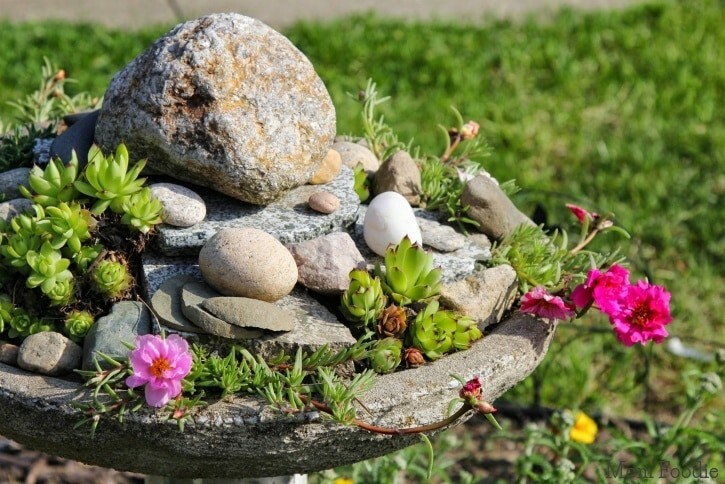 This birdbath rock garden is a creative way to take an old bird bath and breath new life. I love this rainbow planter, lots of beautiful flowers that will give you a stunning display sitting on your deck or porch. Here is a great article that helps you to learn how to landscape on a budget to help get the look you want that fits in your budget. 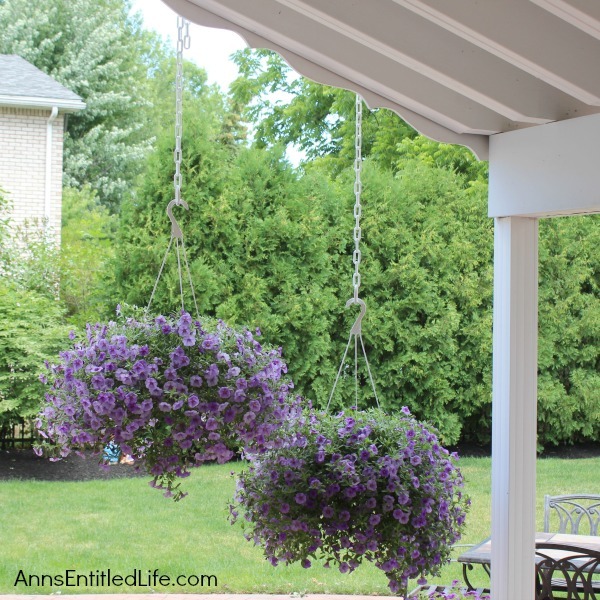 These hanging baskets are a very affordable option and great to add a pop of color. Check out these raised flower beds. They really add a whole new element to your yard and offer a great way to keep small animals out of your flowers or plants. Kids will love this backyard teepee. 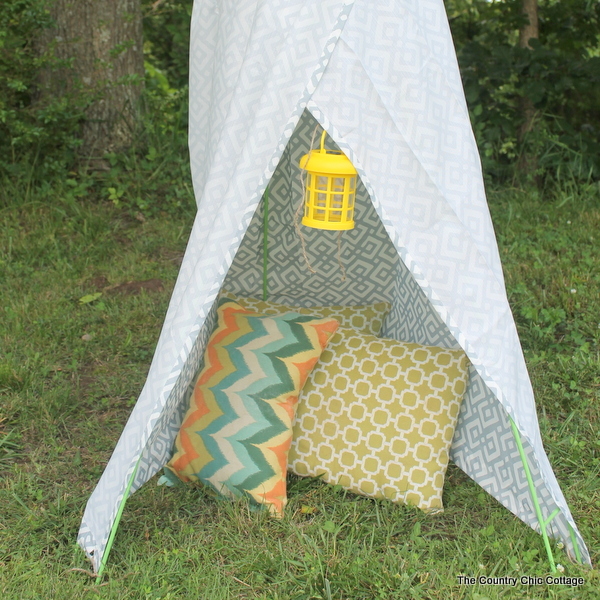 You can make this teepee from buying all the items at your dollar store. 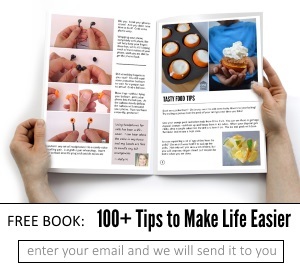 Very affordable and a fun way to dress it up. Learn how to make your own sandbox with some wood and nails. This is a really fun DIY to make if you have kids. Here is a backyard pond tutorial that you can add some little fish and even a waterfall. This is a really creative way to decorate your yard. 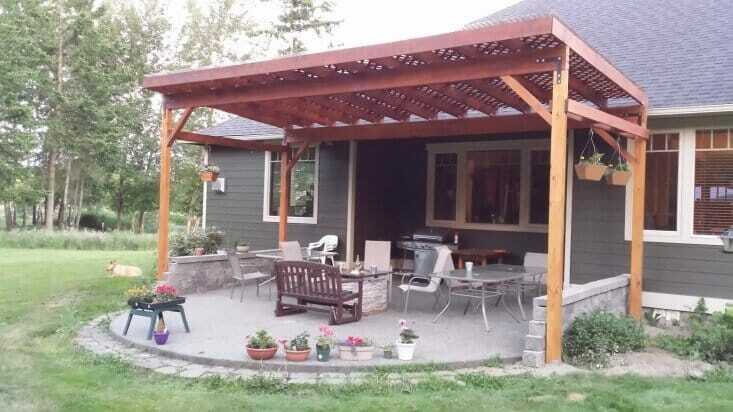 This covered patio is a bit more in the price but the results can last for years. I love how it completely gives the yard a totally new look. Sit down with your child and make a DIY easy fairy garden. You can get really creative with paint and colorful rocks to dress up your fairy garden to make it extra magical. 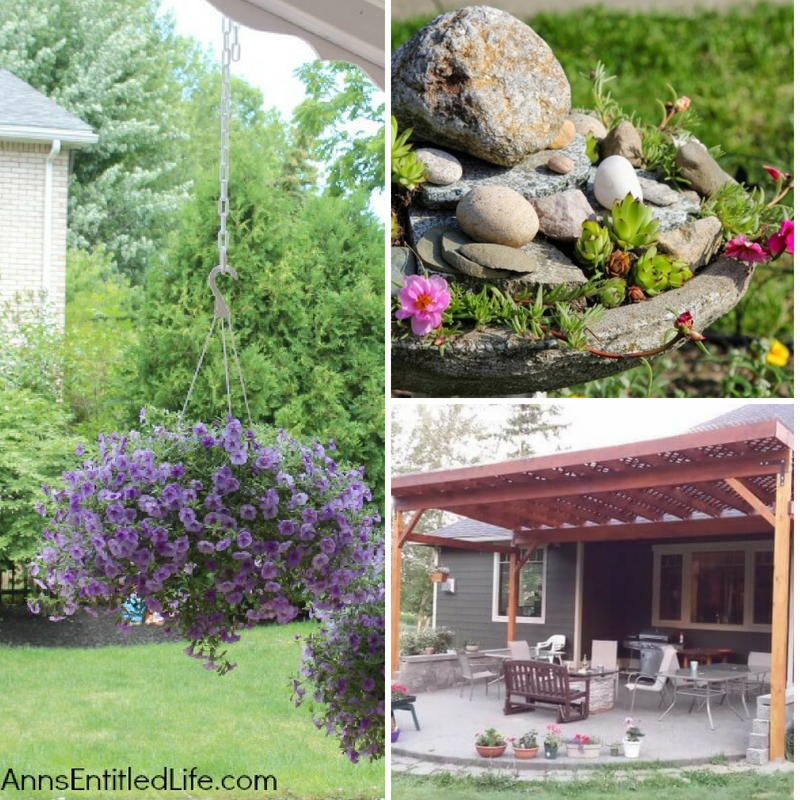 Do you like to do DIY’s in your yard and home? If so what is the latest one you did?